The Today Show uncovers eight health mistakes that even those who try to stay on top of being healthy are prone to make. I'm guilty as charged off the bat at No. 1: ordering a salad. Meet the Yoga King. He has everyone--including celebrities--flocking to his Los Angeles classes and embracing sun salutations, asanas and more. Prevention uncovers meals you can make in five minutes that promise to keep your belly tucked and trim. Rich in monounsaturated fatty acids, good fats from olives, seeds and nuts, they sound tasty, savory and downright delicious. Go U Northwestern! 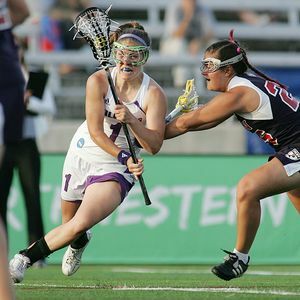 I'm just too excited to share the news from my alma mater as it collects yet another win in women's lacrosse--fifth national championship for the Wildcats. And for an inspirational read, check out this New York Times article about Jaclyn Murphy and her connection to this dynasty.